One spring day in 1860, an autocratic Hungarian magnate, a certain Count Hoyos, who owned several large estates in Austria, dismissed his game-keeper, because this game-keeper, Johannes Steiner wanted to marry Franziska Blie, one of the Count's innumerable housemaids. Perhaps the old Count had a foreboding as to what a great spiritual revolution would be born of this marriage. (The baroque palace of Hom, where it happened, is still in the possession of the Hoyos family, and stands today just as it was one hundred years ago.) So Johannes Steiner had to look for another occupation, and got himself accepted as a trainee telegraphist and signalman by the recently opened Austrian Southern Railway. He was given his first job in an out-of-the-way request stop called Kraljevic (today in Yugoslavia), and there his first child, Rudolf, arrived on February 27, 1861. On the same day the child was taken for an emergency baptism to the parish Church of St. Michael in the neighboring village of Draskovec. The baptismal register was written in Serbo-Croat and Latin, and the entry still can be read today as of one Rudolfus Josephus Laurentius Steiner. "Thus it happened," Rudolf Steiner writes in his autobiography, "that the place of my birth is far removed from the region where I come from." In later life, particularly in his lectures on education, Steiner frequently made the point that the most prodigious feat any man achieves at any time is accomplished by him in the first two or three years of his life, when he lifts his body into the upright position and learns to move it in perfect balance through space, when he forms a vital part of his organism into an instrument of speech and when he begins to handle and indeed to fashion his brain as a vehicle for thought. In other words, when the child asserts his human qualities which set him dramatically apart from the animals. This initial achievement the boy Rudolf performed in Kraljevic. Kraljevic (meaning King's Village) is situated in the western outskirts of the vast Hungarian plain, the Puszta. Even today endless fields of maize and potatoes extend in every direction, and the solemn monotony of the country is more enhanced than relieved by the lines of tall poplars flanking the primitive, dead straight roads. It is basic three-dimensional space at its severest, domed over by the sky, which local people say is nowhere else so high nor so blue as over the Puszta. One might almost say that nature provided laboratory conditions in which the boy learned to stand, to walk, to speak and to think. One could justifiably say of Rudolf Steiner what the biographer, Hermann Grimm, said of Goethe: "It seems as if Providence had placed him in the simplest circumstances in order that nothing should impede his perfect unfolding." From the severity of the Puszta the family moved, when the boy was two years old, into one of the most idyllic parts of Austria, called "the Burgenland" since 1921. Comprising the foothills of the eastern Alps, it is of great natural beauty, very fertile, and drenched in history. It takes its name from the many Burgen, i.e. castles which at different times of history were erected on nearly every hill. During recent excavations coins bearing the head of Philip of Macedonia, the father of Alexander the Great, have been found near Neudorff, where the Steiners now settled, and where a daughter and a younger son were added to the family. The management of the Austrian Southern Railway seems to have taken a sympathetic view toward the promising boy, and agreed to move father Steiner as stationmaster to several small stations south of Vienna, so that the eldest son was able to attend good schools as a day student, and finally in 1879 could matriculate at the Technical University of Vienna, then one of the most advanced scientific institutions of the world. Until then Rudolf Steiner's school life had been fairly uneventful, except that some of his masters were rather disturbed by the fact that this teen-ager was a voracious reader of Kant and other philosophers, and privately was engrossed in advanced mathematics. In his first year at the University Rudolf Steiner studied chemistry and physics, mathematics, geometry, theoretical mechanics, geology, biology, botany, and zoology; and while still an undergraduate two events occurred which were of far-reaching consequence for his further development. In the train in which the young student travelled daily to Vienna he frequently met a curious personality, an herb-gatherer, who turned out to be a latter-day Jacob Boehme. He was filled with the most profound nature lore to which he had first-hand access. He understood the language of plants, which told him what sicknesses they could heal; he was able to listen to the speech of the minerals, which told him of the natural history of our planet and of the Universe. In the last winter of his public life, in December 1923, Steiner provided something of a historic background for this wisdom, notably in his lectures on the Mysteries of Eleusis. Steiner immortalized the herb-gatherer in his Mystery Dramas, in the figure of "Father Felix." But "Father Felix" was instrumental in bringing Steiner together with a still more important and mysterious personality. "Felix was only the intermediary for another personality," Steiner tells us in his autobiography, "who used means to stimulate in the soul of the young man the regular systematic things with which one has to be familiar in the spiritual world. This personality used the works of Fichte in order to develop certain observations from which results ensued which provided the seeds for my (later) work.... This excellent man was as undistinguished in his daily job as was Felix." While these fateful meetings occurred on the inward field of life, a very consequential relationship developed on the outward field. The Technical University of Vienna provided a chair for German literature, which was held by Karl Julius Schroer, a great Goethe enthusiast and one of the most congenial interpreters of Goethe. Schroer recognized Steiner's unusual gifts, and anticipated that he might be capable of doing some original research in the most puzzling part of Goethe's works, i.e. his scientific writings. Only two years ago, Dr. Emil Bock, of Stuttgart, Germany, one of the most eminent Steiner scholars, discovered the correspondence between Professor Schroer, Steiner, and the German Professor Joseph Kurschner, who was engaged in producing a monumental edition of representative works of German literature from the 7th to the 19th century. In the first letter of this correspondence, dated June 4, 1882, Schroer refers to Steiner as an "undergraduate of several terms standing." He says that he has asked him to write an essay on Goethe and Newton, and if this essay is a success, as he thinks it will be, "we have found the editor of Goethe's scientific works." Steiner was then twenty-one years of age. Schroer's letter is reminiscent of the letter Robert Schumann wrote to the great violinist Joachim, after he had received the first visit of the then twenty-one year old Brahms: "It is he who was to come." The introductions and explanatory notes to the many volumes of Goethe's scientific works which Steiner was now commissioned to write were much ahead of their time. They blazed a trail into the less familiar regions of Goethe's universal genius which only today begins to be followed up by other scholars. The young Steiner wrote these, his first works, in outward conditions of great poverty. The family lived in two rooms, which are still shown today. The larger one of the two was kitchen, dining, sitting and bedroom for the parents and his younger brother and sister, and off this larger room a few steps led into a narrow, white-washed, unheated cubicle where the young Steiner worked as in a monk's cell. No wonder that a Viennese celebrity of the time refers to him in his memoirs as one "who looked like a half-starved student of theology." However, this first literary success led to Steiner's call to the central Goethe Archives at Weimar, where despite his youth he now became one of the editors of the great Standard Edition (Sophien Ausgabe) of Goethe's Complete Works. This concentrated occupation with Goethe, continued for seven years in Weimar, from 1889 to 1896, had a profound effect upon the unfolding of Steiner's own mind and philosophical consciousness. Goethe was the catalyst which released new mental and spiritual energies in Steiner s own personality. It was during these years that Steiner's fundamental philosophical works were conceived and written. In 1886 he published An Epistemology of Goethe's World Conception. In 1891 his small concentrated thesis on Truth and Science earned him his Ph.D. In 1896 his comprehensive Philosophy of Spiritual Activity opened a completely new approach to the understanding of the human mind and the nature of thought. It represents the first really fresh step in philosophic thought and in the philosophic interpretation of the human consciousness since Kant. It is no wonder that in those years Steiner began to be looked upon in Germany as "the coming philosopher" upon whom before long the mantle of the dying Nietzsche would fall. But his genius led him a different way. In his thirty-sixth year - "Nel mezzo del cammin di nostra vita," as Dante calls it, Steiner moved to Berlin, and the next seven years were perhaps the most dramatic period in his life. His new position in Berlin was that of editor of the weekly, Das Magazin fur Litteratur, founded in 1832 (something equivalent to the London Saturday Review). He wrote the leading article and the dramatic reviews, occupying in Berlin a position somewhat similar to that of Bernard Shaw (who was five years his senior), with his weekly dramatic criticism in the Saturday Review. This assignment brought Steiner into close social contact with the intellectual and artistic elite of Berlin at the time, and for some years he pitched his tent among them. In the last years of his life, during rare moments of relaxation, he would at times tell stories of this exciting and often amusing period. Side by side with these literary circles, or perhaps in polarity to them, Steiner was also drawn by objective interest and personal attraction into the camp of Haeckel and the militant monists. To move in this manner abreast of the spirit of the time would be a most interesting experience for anyone. For Steiner it was more. And I must now touch upon that side of his life about which I shall have to speak presently in greater detail. From childhood while for others such "being involved in this or that fashion of thought would be no more than an ideology," for anyone standing in the spiritual world it means, as Steiner says in his autobiography, that "he is brought close to the spirit-beings who desire to invest a particular ideology with a totalitarian claim." Steiner refers to his experience as a "Soul's Probation" which he had to undergo. (He later chose The Soul's Probation as the title of one of his Mystery Dramas.) He speaks of the "tempests" which during those years in Berlin raged in his soul, a rare expression in the otherwise very even and dispassionate style of his autobiography. At the end of those "forty days in the wilderness" - -which were in fact four years -- the thunderclouds lifted, the mist cleared, and he stood, to use his own phrase. "in solemn festival of knowledge before the Mystery of Golgotha." He had come to a first-hand experience of Christ and His active presence in the evolution of the world. We have now reached the point where we must venture into the great unknown: Steiner the seer, the Initiate. It is a plain fact that in some form or other spiritual knowledge has existed throughout the ages. Secret wisdom has never been absent from human history. But in Steiner it assumed a totally new form. In order to appreciate this revolutionary novelty, we must first have a picture of the old form. The faculty of spiritual perception and secret wisdom is obtained through certain organs in the "subtle body" of man, to borrow a convenient term from Eastern Indian medicine. In Sanskrit these organs are called "chakrams" generally translated into English as "lotus flowers." They fulfil a function in the "subtle body" similar to our senses in the physical body. They are usually dormant today, but can be awakened. We can disregard for the moment the rites of Initiation which were employed in the Mystery Temples of the ancient world, and confine ourselves to the survival of more general methods which today are still practiced in many parts of the world. They all have one thing in common: they operate through the vegetative system in man, through bodily posture, through the control of breathing, through physical or mental exercises which work upon the solar plexus and the sympathetic nervous system. I realize that I am presenting a somewhat crude simplification. But nevertheless I am giving the essentials. Steiner broke with all this. He began to operate from the opposite pole of the human organism, from pure thought. Thought, ordinary human thought, even if it is brilliant and positive, is at first something very weak. It does not possess the life, say, of our breathing, let alone the powerful life of our pulsating blood. It is, shall we say, flat, without substance; it is really lifeless. It is "pale thought," as Shakespeare called it. This relative lifelessness of our thoughts is providential, however. If the living thoughts filling the Universe were to enter our consciousness just as they are, we would faint. If the living idea in every created thing simply jumped into our consciousness with all its native force, it would blot us out. Fortunately, our cerebro-spinal system exerts a kind of resistance in the process; it functions like a resistor in an electric circuit; it is a sort of transformer, reducing the violence of reality to such a degree that our mind can tolerate it and register it. However, as a result, we see only the shadows of reality on the back wall of our Platonic cave, not reality itself. Now one of the magic words in Steiner's philosophy with which he attempts to break this spell, is "Erkraftung des Denkens." It means putting force, life into thinking, through thinking, within thinking. All his basic philosophic works, notably the Philosophy of Spiritual Activity, and many of his exercises, are directed to this purpose. If they are followed, sooner or later the moment arrives when thinking becomes leibfrei, i.e. independent of the bodily instrument, when it works itself free from the cerebrospinal system. This is a stage which, broadly speaking, Steiner had attained at the point of his biography which we have reached. Now he made a discovery which was not known to him before. He discovered that this "living thinking" could awaken the chakrams from "above," just as in the old way they could be stimulated from "below." Thought which at first in the normal and natural psychosomatic process "died" on the place of the skull, but which through systematic exercises had risen again to the level of cosmic reality, could now impart life to the dormant organs of spiritual perception which have been implanted into man by Him who created him in His image. From about the turn of the century Steiner began to pursue this path with ever greater determination, and gradually developed the three forms of Higher Knowledge which he called Imagination: a higher seeing of the spiritual world in revealing images; Inspiration: a higher hearing of the spiritual world, through which it reveals its creative forces and its creative order; Intuition: the stage at which an intuitive penetration into the sphere of Spiritual Beings becomes possible. With these unfolding powers Steiner now developed up to his death in 1925, in twenty-five momentous years, that truly vast and awe-inspiring body of spiritual and practical knowledge to which he gave the name "Anthroposophy." (Incidentally, this word was first coined by Thomas Vaughan, a brother of the English mystical poet, Henry Vaughan, in the 17th century.) Anthroposophy literally means wisdom of man or the wisdom concerning man, but in his later years Steiner himself interpreted it on occasion as "an adequate consciousness of being human." In this interpretation the moral achievement of Steiner's work, his mission, his message to a bewildered humanity which has lost "an adequate consciousness of being human," to which Man has become "the Unknown," is summed up. This monumental work lies before us today and is waiting to be fully discovered by our Age -in some 170 books and in the published transcripts of nearly 6,000 lectures. Three characteristic stages can be observed in Steiner's anthroposophical period. In a lecture given at the headquarters of the German Anthroposophical Society at Stuttgart (on February 6, 1923) he himself described these stages. Stage one (approximately 1901-1909): to lay the foundation for a Science of the Spirit within Western Civilization, with its center in the Mystery of Golgotha, as opposed to the purely traditional handing down of ancient oriental wisdom which is common to other organizations such as the Theosophical Society. Stage two (approximately 1910-1917): the application of the anthroposophical Science of the Spirit to various branches of Science, Art and practical life. As one of the milestones for the beginning of this second stage Steiner mentions the building of the Goetheanum, that architectural wonder (since destroyed by fire) in which his work as an artist had found its culmination. Stage three (approximately 1917-1925): first-hand descriptions of the spiritual world. During these twenty-five years of anthroposophical activity, Steiner's biography is identical with the history of the Anthroposophical Movement. His personal life is entirely dedicated to and absorbed in the life of his work. It was during the last of the three phases that Steiner's prodigious achievements in so many fields of life began to inspire a number of his students and followers to practical foundations. Best known today are perhaps the Rudolf Steiner Schools for boys and girls, which have been founded in many countries and in which his concept of the true human being is the well-spring of all educational methods and activities. There are some seventy Steiner schools in existence with well over 30,000 pupils. A separate branch are the Institutes for Curative Education which have sprung up both in Europe and Overseas, and whose activities have been immensely beneficial to the ever increasing number of physically and mentally handicapped children and adults. Steiner's contributions to medical research and to medicine in general are used by a steadily growing number of doctors all over the world, and his indications are tested and followed up in a number of research centers and clinics. Another blessing for humanity flowed from his method of Biodynamic Agriculture, by which he was able to add to the basic principles of organic husbandry just those extras which, if rightly used, can greatly increase both fertility and quality without those chemical stimulants which in the long run poison both the soil and its products. In the field of Art there is hardly an area he did not touch with the magic wand of creative originality. The second Goetheanum which replaced the first one destroyed by fire shows the massive use of reinforced concrete as a plastic material for architecture a generation before this use was attempted by others. Steiner's direct and indirect influence on modern painting with the symphonic use of color, on sculpture, on glass-engraving, on metal work and other visual arts is too far-reaching for anyone even to attempt to describe in condensed form. Students and graduates of the Steiner schools for Eurythmy and for Dramatic Art have performed before enthusiastic audiences in the cultural centers of the world, ably directed by Marie Steiner, his wife. To those who have been attracted to this present publication by its title and its reference to Christianity, it will be of particular interest to hear that among those foundations which came into being during the last phase of Steiner's anthroposophical work was a Movement for Religious Renewal, formed by a body of Christian ministers, students and other young pioneers who had found in Rudolf Steiner "a man sent from God," able to show the way to a true reconciliation of faith and knowledge, of religion and science. This Movement is known today as "The Christian Community" and has centers in many cities in the Old and New World. 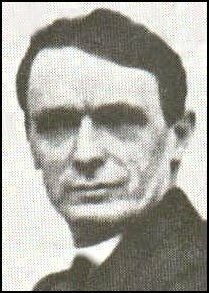 Apart from the inestimable help this Movement received from him in theological and pastoral matters, Rudolf Steiner was instrumental in mediating for this Movement a complete spiritual rebirth of the Christian Sacraments for the modern age and a renewal of the Christian priestly office. Christianity as Mystical Fact and the Mysteries of Antiquity holds a special place in the story of his remarkable and dedicated life. The book contains the substance of a series of lectures Rudolf Steiner gave in the winter of 1901-1902 in the "Theosophical Library" of Berlin at the invitation of the President, Count Brockdorff. This series had been preceded by another on the German mystics from Master Eckhardt to Jacob Boehme (published in the Centennial Edition of the Written Works of Rudolf Steiner under the title Mysticism at the Dawn of the Modern Age, See Multimedia edition) in which Steiner had ventured for the first time to present publicly some measure of his spiritual knowledge. After these lectures on the mystics which was something of a prelude, Christianity as Mystical Fact now ushered in a new period in the understanding of the basic facts of Christianity as well as in Steiner's own life. Compared with the free flow of spiritual teaching on Christianity offered by Steiner in his later works, the book may appear somewhat tentative and even reticent in its style. But it contains as in a nutshell all the essential new elements he was able to develop and unfold so masterfully in his later years. Steiner considered the phrase "Mystical Fact" in the title to be very important. "I did not intend simply to describe the mystical content of Christianity," he says in his autobiography. "I attempted to show that in the ancient Mysteries cult-images were given of cosmic events, which occurred later on the field of actual history in the Mystery of Golgotha as a Fact transplanted from the cosmos into the earth." It will not be out of place to round off this biographical sketch with a few personal reminiscences of the last four years of his life when I met Steiner as man and Initiate among his friends and students, and saw quite a good deal of him. What was Rudolf Steiner like? In the first place there was nothing in the least pompous about him. He never made one feel that he was in any sense extraordinary. There was an astonishing matter-of-factness about him, whether he spoke at a business meeting of the Anthroposophical Society, presided over faculty meetings of the Waldorf School, lectured on his ever increasing discoveries in the spiritual field, or spoke in public discussions on controversial subjects of the day. I attended small lecture courses of less than fifty people, heard him lecture in the large hall of the first Goetheanum, was present at large public meetings when he expounded his "Threefold Commonwealth" ideas in the electric atmosphere of the Germany of 1923, during the occupation of the Ruhr and the total collapse of the German Mark. He was always the same: clear, considerate, helpful, unruffled. In those days he could fill the largest halls in Germany, and his quiet voice was strong enough to be heard without artificial amplification in the last rows of the gallery. His hair remained jet black to the end; I cannot remember a strand of grey in it. His brown eyes, they sometimes had a shimmer of gold in them, looked with sympathy upon everything. And he possessed a wonderful buoyancy of carriage. From 1913 Steiner lived permanently at Dornach, near Basel, Switzerland, in a house known locally as "Villa Hansi." However, he spent most of his time in his studio, which was really nothing but a simple wooden building adjoining the large carpentry-shop where much of the woodwork of the first Goetheanum was prefabricated. In this studio he received an unending stream of callers. One would, perhaps, be shown into the room by a helping friend, but at the end he would always conduct one to the door himself. He put one at ease with such courtesy that one was in danger of forgetting who he was. And he gave the impression that he had no other care nor interest in the world than to listen to one's immature questions. He would sit on a simple wicker chair, his legs crossed, perhaps occasionally moving one foot up and down. On the lapel of his black coat one might see a slight trace of snuff, because he indulged in the Old-World pleasure of taking snuff, but he neither drank nor smoked. I have never met anyone, and I am sure I shall never meet anyone who seemed so constantly at rest and in action simultaneously, all the time perfectly relaxed and absolutely alert. The last summer of his life, in 1924, was the most prolific of all. He gave specialized courses on agriculture, on curative education, on Eurythmy. Then followed a summer school in August at Torquay in England; and when he returned to Dornach in early September, he increased his activities still further and gave as many as five, sometimes six different lectures each day. There was a daily course on the New Testament Book of Revelation for the priests of the Christian Community, another on pastoral medicine for priests and doctors combined, another on dramatic art, where I remember him one morning acting single-handed the whole of Dantons Tod, a drama of the French Revolution by the German writer, Buchner. On another morning he acted the Faust fragment by Lessing. And in addition to all this, he also held lectures for the workmen of the Goetheanum. Besides these specialized courses, the general lectures and other central activities of the Goetheanum School for the Science of the Spirit continued without interruption. But the inevitable moment approached when even his resilient body showed the strain of his immense work. Sometimes for the period of a whole week he would hardly sleep more than two hours each night. I believe that he knew what he was doing. He well knew why he burned the candle not only at both ends but also in the middle. My last memory of him is of the night when I was privileged, together with another friend, to keep vigil at the foot of his bed on which his body was laid out. It was the night before his funeral. The bed stood in his simple studio where he had been confined during the last six months of his life. Looking down on him was the great wooden statue of Christ which he had carved and nearly finished. Even in the literal sense of the word he had laid down his life at the feet of Christ. The dignity of his features was enhanced by the marble whiteness of death. In the stillness of the night, with only a few candles burning, it was as if ages of human history converged to do homage. With a deep sense of reverence I wondered who he was. I am wondering still.